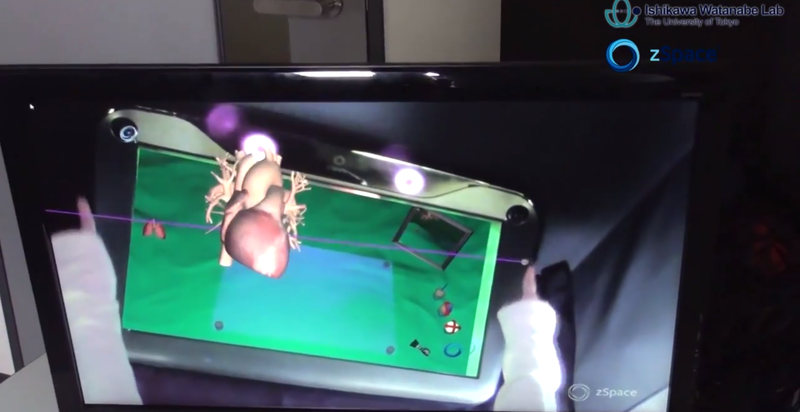 The Ishikawa Watanabe Laboratory, in collaboration with zSpace® (a technology firm based in Sunnyvale, California), developed a high-speed gesture recognition system and combined it with a 3D virtual holographic display system to create new immersive virtual environments. Super high-speed stereo cameras make it possible to recognise gesture and track 3D position (500 fps) with extremely small latency. See video below.